As soon as your puppy arrives home, it depends almost entirely on you. It is your job to look after all of its physical requirements like feeding, housing, worming and grooming. However, it is in the development of the pup’s character that your role is extremely crucial. Puppy Preschool is a four-week course every Thursday evening from 7.30pm-8.30pm. Classes are held at the clinic in a safe and clean environment and are run by our nurse Wendy Trawn. The class structure is based on Dr Kersti Seksel’s Hills Puppy Preschool course. Dr Seksel is a veterinary specialist in Animal Behaviour and in 1992 she developed Puppy Preschool in veterinary clinics across Australia. You will be taught all the essentials for caring for your puppy, basic commands and how to tackle common behavioural problems. Each week there will be ‘puppy play time’ which gives your puppy the chance to socialise with other puppies and interact with other humans. We give weekly handouts on what you learn each week as well as free food samples and other giveaways. Full payment is required to secure your spot in the class and we can only take a maximum of 6 puppies in 1 class. 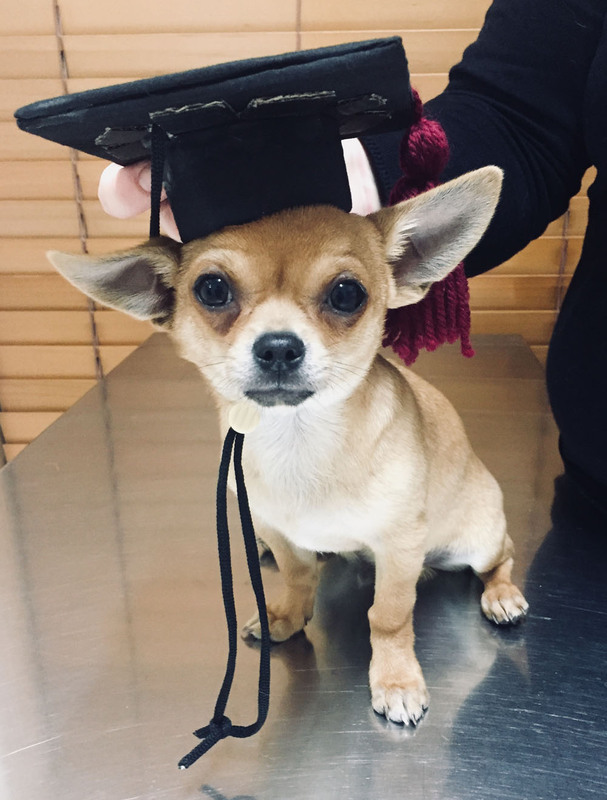 Some of our past puppy preschool graduates.